Carolyn Fitzhugh is not only a singer of boundless promise she is already a great artist. This disc shows how versatile she is, with not only Jazz standards such as “Maiden Voyage” and “A Night in Tunisia”, but also beckoning vocal rarities such as “When Sunny Gets Blue”. 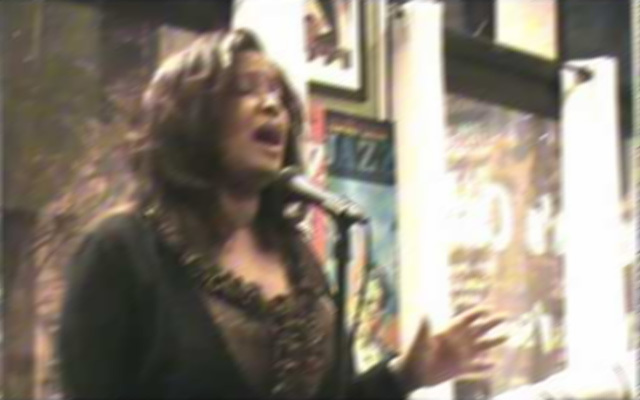 The starting point of the album would appear to be the love song, “Simply Amazing”. But in form true to her lofty ideal, Miss Fitzhugh transforms this song about earthly love into a heavenward modern-day chorale that can only be perceived as if one of the Song of Songs, a plea made in inimitable spiritual manner as only someone of Miss Fitzhugh’s natural-born genius can. Although this disc feels like a short programme, it is indeed long enough for Carolyn Fitzhugh to reveal herself as an artist of the first order, broadening out from the spiritual/gospel realm – in which she has no peer – into the broader world of Jazz. Her instrument is gorgeous: lustrous, precise and like raw silk. Her musicianship is fierce as she digs into the expression of each word – and in her vocalese – she brings ceaseless variety to soft dynamics (as in “When Sunny Gets Blue”) and gives each phrase a heavenly grace. Her darker-hued and classic “A Night in Tunisia” captures the mystery and mystic aura of Dizzy Gillespie’s iconic piece just as earlier Miss Fitzhugh lets her vocalastics unfold with brilliant vulnerability on Herbie Hancock’s “Maiden Voyage”. 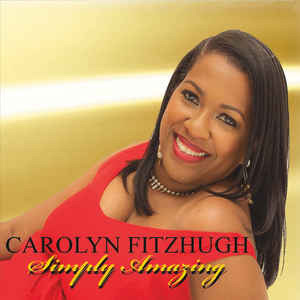 Best of all one get the sense that Carolyn Fitzhugh sounds as if she is singing in her most natural mode of expression. Magically, too, Miss Fitzhugh is supported here by musicians who can literally feel the accelerating and retardation of her very heartbeat as they ride the very coat-tails of her after-burn. Together Larry Brown, Stu Mindeman, Tim Ipsen, Alfonzo Jones and Brent Griffin Jr. lay down the marker of sensitivity and technical adroitness in Miss Fitzhugh’s vocal exploits. In each of the songs, the musicians exhibit a gleamingly blended tonal quality and an articulate engagement with the superstar whose voice they help propel into the stratosphere. A disc to die for.